1. Source: US News. 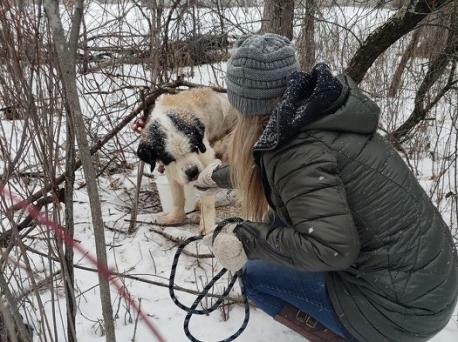 A St. Bernard who ran away from a foster home in Minnesota has been found alive after surviving 17 days in freezing temperatures. Are you familiar with this story? 2. Ruff Start Rescue director Azure Davis says she wasn't sure the 10-year-old dog named Old Lady was alive after so much time had passed. 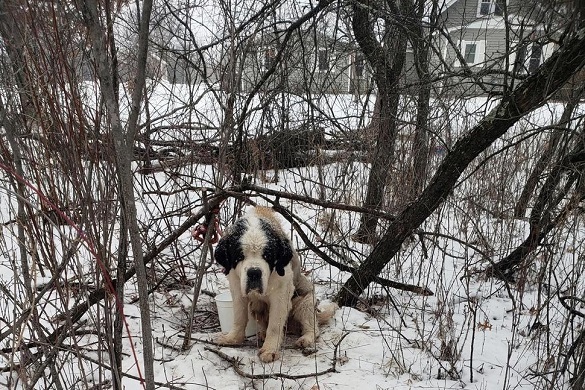 Old Lady bolted from her foster home Jan. 4 and her leash got tangled in the woods in Zimmerman. Flyers were posted and search parties were formed. But there was no sign of Old Lady until Monday. A grandfather and his grandsons spotted her in the woods and called law enforcement which notified Ruff Start Rescue. Have you ever had a pet run away from home? 3. It wasn't the first time Old Lady had been rescued. Davis says she spent a decade at a puppy mill in Wisconsin. Old Lady is frostbitten and malnourished, but rescuers say her vital signs are strong. Have you ever adopted a dog from a puppy mill? 4. 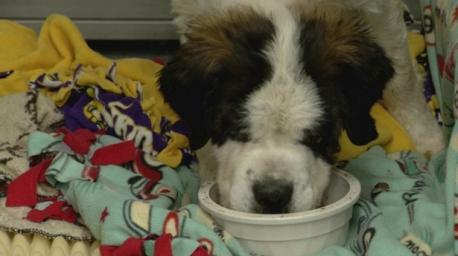 Lastly: Are you glad to read that Lady has been rescued from the freezing Minnesota temperatures?